With instant coupon at Wondershare.com! The best deal you’ll find this month on Video Converter Ultimate by Wondershare is when ordering directly through their direct store. Just follow the above link to activate the coupon to save $20.00 instantly (you’ll be take directly their site with the discount automatically applied – You’ll see it listed next to the “buy” button). Sale priced now at Amazon. Part of Amazon’s digital services library, you can pick up both the PC and Mac version of Video Converter Ultimate now on sale for just $59.95. Because it’s a download, no need for the box to arrive in the mail – Simply download and install the file after checkout (your registration code/serial license key will be included in your purchase confirmation email). We like ordering from Amazon’s Digital Services because they conveniently save our purchase history in our account (useful if you even need to reinstall the software on another machine). No coupon code is needed for this deal. If you haven’t yet tried Video Converter Ultimate they you can take advantage of the free trial that’s available to new users. As long as you’ve never tried in on your current PC or Mac systems that you’re running, you can head on over to Wondershare’s download center to access the official trial versions. Once installed you will have a full 30 days of unlimited use – Then, decide if it’s worth buying or not. The file size is just 37.1MB so it won’t take to long to download. What can you do with Video Converter Ultimate? 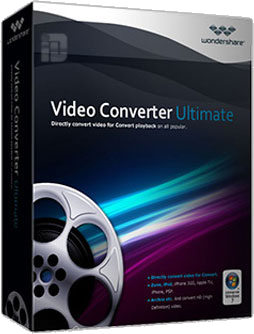 Video Converter Ultimate is one of the best selling programs made to help you convert just about any file format (including DVD’s) into a compatible one that can be played on your iPad, iPhone, Android, Xbox, PlayStation Vita, Nexus, Kindle Fire, and more. Perfect for that next flight as you can download and play any movie without wifi. The program also has some of the most common editing features so you can crop, trim, merge, rotate and more to all your video clips. We also love the ability to download and save Youtube videos - We tend to save cartoons from Youtube for the kids when going on longer road trips. 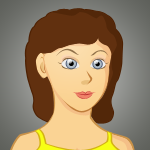 And if you have a new 3D TV at home, Video Converter Ultimate lets you convert all your 2D videos into 3D.